Cocoon treatment is carried out in autumn or winter to help skin through the changing of the seasons. It provides comfort, protection and radiance. Providing comfort, nutrition and revitalization, this treatment results in softness and radiance. Reflexology movements on the head, face and hands stimulate specific affected organs: the lungs (autumn) and the kidneys (winter). Skin regains softness and radiance. It is nourished, comforted and revitalized. For anyone who wants to adapt their skin to the needs of the season and take some time to relax. 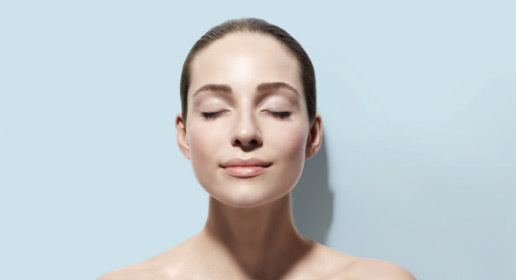 Detox treatment is carried out in the spring or summer to help skin through the changing seasons. It provides tonus, radiance and vitality. Dynamic treatment, to brighten complexion, soothe, hydrate and regenerate the skin. Reflexology movements on the head, face and hands stimulate specific affected organs: the liver (spring) and the heart (summer). Skin regains suppleness and hydration. Complexion is fresh, radiant and full of life. Hydra treatment intensely recharges the skin with water, for immediate plumping effect. It immediately treats any problems related to dehydration, to re-educate the skin over the long term. Skin is supple, glowing and comfortable. Wrinkles and fine lines appear to be filled internally. For dehydrated skins, which need a treatment that rebalances and prevents aging while promoting relaxation. Pure treatment acts on imperfections, matifies and tightens pores. It immediately treats any problems related to imperfections, to re-educate the skin over the long term. Skin is visibly clearer, with refined texture, tightened pores and a brighter complexion. For skins with imperfections, which need a treatment that rebalances and prevents aging while promoting relaxation. Sensi is a calming treatment, which soothes sensitive skins in the long term. It immediately treats any problems related to sensitivity, to re-educate the skin over the long term. Skin is immediately soothed, and better protected to fight against external factors that cause premature aging. For sensitive skins, which need a treatment that rebalances and prevents aging while promoting relaxation. Regenerating, ultra-comforting, redensifying treatment that restores firmness. A combination of high-performing formulas, manual techniques and relaxation gestures for visible results from the first treatment. Youthful preparation of the skin: a peeling to smooth the skin and improve the penetration of active ingredients. Stomach deep modeling: decreases tensions, stimulates the digestive system and rebalances the organism. Youthful gestures: in-depth manual techniques to activate micro-circulation and deeply stimulate the dermis. Eye contour treatment: Locally drains skin to decongest the eye contour. Eyes appear younger and rested. Cutaneous structure is reinforced, skin feels plumped up and regains its comfort and radiance. For women aged 45 and up, looking for a global and premium treatment. Deep wrinkles, loss of density, elasticity and firmness. Lifeless skin, lacking comfort and radiance. Brightness-generating treatment that provides a more uniform and radiant complexion, immediately. Youthful preparation of the skin: technical protocol for more visible results. Hand treatments: Peeling gel applied on the backs of the hands during the time of the mask. 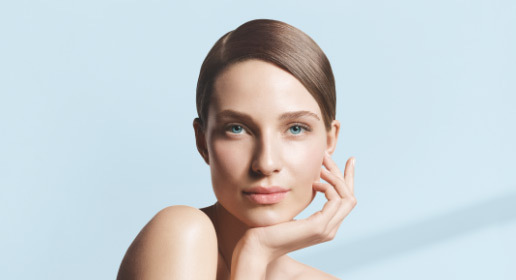 Eye contour option: Treatment and local draining for a younger, relaxed look. Complexion is bright and radiant. Dark spots are less visible and complexion is even. For anyone looking for a youth radiance treatment. Lackluster, irregular complexion that lacks clarity. Oxypeeling treatment is a gentle peeling with immediate brightening results. Gentle peeling that renews and immediately brightens the skin. Oxypeeling Vitamin A Treatment: Skin is smoother, and regains the radiant texture of younger skin. Better skin tone with reduced wrinkles and fine lines. Oxypeeling Vitamin C Treatment: Skin becomes firm and radiant, brown patches are minimized. Oxypeeling Calming Biomimetic Cream: comforts and soothes fragile sensitive skin. For anyone who wants renewed and radiant skin. Youthful Eyes treatment brings together manual techniques and sensory products for greater results and provides deep relaxation. The Youthful Eyes treatment acts on the delicate and fragile zone around the eye for enhanced resistance producing a visible and long-lasting anti-fatigue effect. Wrinkles are smoothed out, the face's skin is firmer. Dark circles and puffiness disappear. For anyone who is looking for specific care of the eye contour, removing any tired expression. Esthelift treatment is a "natural face lift" treatment, inspired by kinesitherapy techniques and beauty treatments. It acts on the muscles, micro-circulation and skin tissues. This painless treatment stimulates different muscles in the face to redesign and enhance the facial contours. Skin is firmer, with better tone and smoothed-out wrinkles. For anyone who wants to treat loss of firmness and loss of volume, wrinkles and expression lines. Using lymph-draining manual techniques and active ultra-sensory formulations, Active Repair treatment improves overall skin quality. Anti-wrinkle, brightening and detox treatment. The skin is deeply cleaned, smoothed and detoxified. Wrinkles are smoothed out and the skin is repaired at a deep level. Complexion appears fresh and relaxed, with any signs of tiredness gone. For anyone who wants to treat the skin at the first signs of aging, and erase signs of fatigue from daily stress. In addition to a unique deep cleaning, Osmopeel treatment refines skin texture with its peeling mask. Skin is deeply cleaned, ready for treatments, more receptive to active ingredients. For anyone who wants deeply cleansed skin with refined texture. Comprehensive firming treatment to tone and reshape the silhouette. Massage using speficic techniques inspired by fasciatherapy, to tone the skin and reshape the silhouette. The skin is firmer and revitalized. It offers a feeling of deep rebalancing and a renewal of positive energies. The skin is softer and smoother. As a combination of a relaxing massage and reshaping and firming actions, this treatment is for anyone who wants tonicity and well-being. 100% manual treatment to target rebel areas and the orange peel effect. The skin is smoother and firmer, and dimples are smooth. For anyone who wants a genuine and tailored traditional slimming treatment, which respects skin. Recommended as a cure of 4 to 6 treatments. A treatment to slim and reshape the silhouette. Rolling massage and Absolute Firming-Contouring mask cream. Recommended as a cure of 4 to 6 treatments for a reshaping effect and a unique well-being. This 100% relaxing scrub is the ultimate treatment for soft, youthful skin and an exclusive way to prepare your body for the benefits of Esthederm body treatments. The Body Essential treatment removes dead cells and impurities: it softens the skin and prepares it for our specific body treatments. 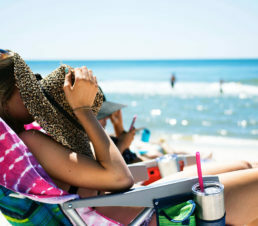 This treatment also prepares skin for sun exposure, to optimize tanning. The skin is soft, smooth and velvety. For anyone who wants a quick body beauty enhancement. This treatment should be performed once or twice a month to preserve the skin's beauty, or before sun exposure.